Cara Robertson has been fascinated by the ax murders of Andrew and Abby Borden—and the daughter who stood trial for those murders—since she was an undergrad at Harvard University nearly 30 years ago. 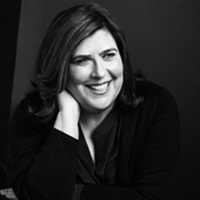 In her new book, The Trial of Lizzie Borden, Robertson uses her skills as a lawyer to go over the strategies used by the defense and prosecution, the evidence brought before the court, and the societal influences that contributed to the trial and its outcome. As the churchgoing daughter of an upper-class white family, Lizzie Borden was not the image that 19th-century Americans had in their heads as someone who could have committed the brutal crimes. But a number of pieces of circumstantial evidence pointed to the 32-year-old as the murderer of her father and stepmother. In this episode of the Modern Law Library, the ABA Journal’s Lee Rawles chats with Robertson about the evidence from the crime scene; the differences between Lizzie Borden’s trial and what we might see in a similar case today; and why each generation seems to have a different take on Lizzie Borden and what might have happened in 1892 on a hot August day in Fall River, Massachusetts. Robertson also discusses other potential suspects in the murder and her thoughts about why Lizzie Borden chose to stay in her hometown after her acquittal. She also shares how she first became interested in the Borden murders and why it’s a mystery that has stuck with her for so long. She also invites readers to register how they would have voted as a jury member at TrialofLizzieBorden.com. Cara Robertson is a lawyer who first started researching the Lizzie Borden story as a senior at Harvard and published her first paper on the trial in the Yale Journal of Law and the Humanities in 1997. She was educated at Harvard, Oxford and Stanford Law School. A former Supreme Court law clerk, she was a legal adviser to the International Criminal Tribunal for the former Yugoslavia at the Hague and a visiting scholar at Stanford Law School. Her scholarship has been supported by the National Endowment for the Humanities and the National Humanities Center of which she is a trustee. 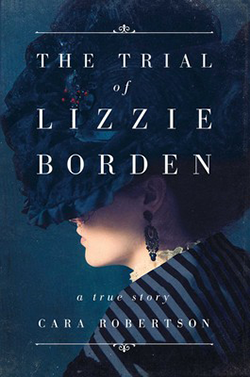 The Trial of Lizzie Borden is her first book. Photo by Aaron Jay Young.